Most of you know Commercial Residential Aluminum for our pool cages but many of you don’t know we also offer aluminum fence as well. 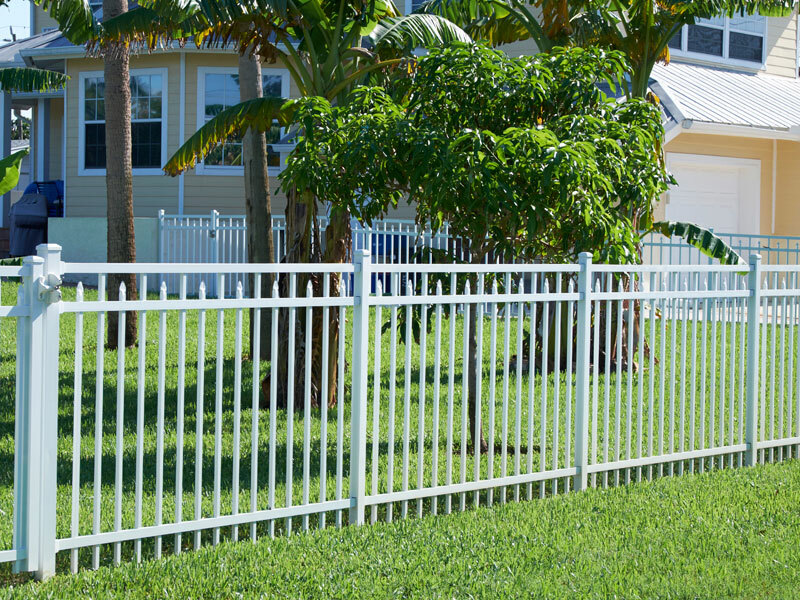 An aluminum fence offers several advantages over traditional wood, wrought iron, galvanized steel fences and certainly vinyl products especially in our tough Florida environment. 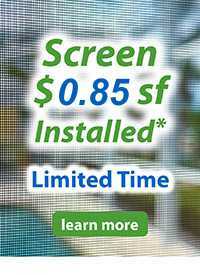 The biggest advantage is its ability to to be virtually maintenance free and last for decades without rotting, rusting, or fading under our year-long Florida sun. Over the long run, that makes aluminum fencing less expensive than other types of fencing alternatives. Aesthetically aluminum fencing provides your home an obvious barrier that still has an open feeling of your surroundings. More open patterns also allow wind to pass through and be unaffected by tropical storms and coastal fronts. The color comes from a special powder coating process that lasts and lasts. Aluminum fence is also available in different colors that lasts and lasts through a special powder coating process. In addition, you can choose from different heights, post and picket dimension and styles that complement your architecture and landscape. Gates also come in matching grades and varieties. 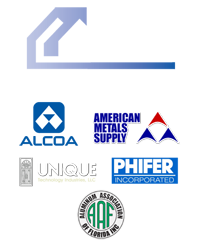 Aluminum fence from CRA comes in both residential and commercial grades like most of our products and warranties vary based on individual style and aluminum grade. Because we accurately pre-measure for each project, your fence arrives precise and ready for a quick and neat installation with minimal disruption to your life and surroundings. 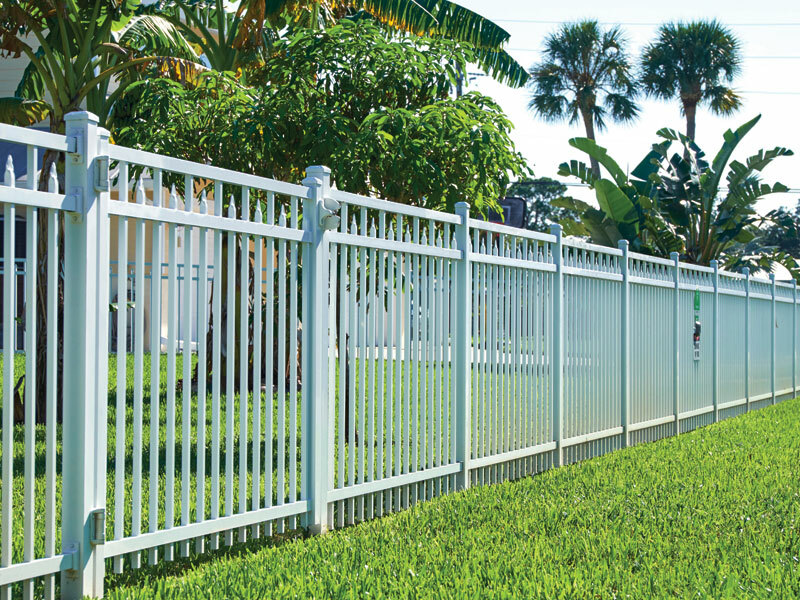 If you are exploring fencing or looking for aluminum fencing in Sarasota or along Florida’s Gulf Coast, there are many choices. 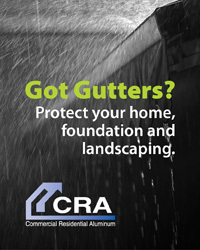 Please consult one of our sales professionals who’s job is to maximize your value and save you money on your next project from CRA. Contact us for a free in-home estimate to discuss all of your fencing options.